Two Clones harvested from the estate between February 25th and March 13th. Small batch whole berry fermentation in stainless steel fermenters with twice daily pump overs using the rack and return method. Fermentation temperatures ranged from 20-33 degrees C, and fermentation time between seven and twelve days. At dryness the wine was pressed off to tank, settled for 24 hours then transferred to French Oak barriques chosen from selected Burgundy cooperage's. 20 new with the balance a mixture of 1, 2, 3 and 4 seasons use. Malolactic fermentation occurred naturally in barrel. The wine then spent ten months in oak prior to blending in late December 2008. The wine has not been fined but was lightly filtered before bottling on February 24th 2009. An elegant style relying on complexity of fruit and subtle oak usage. Decidedly Burgundian in nature, firmly textured with good Pinot fruit definition. A wine that will gain further complexity with medium term cellaring. Good depth of colour of medium intensity. Aroma of plum, black cherry, raspberry, aniseed, white pepper and mocha. 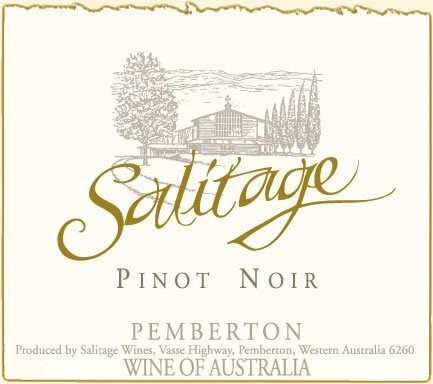 The palate reveals dark cherry Pinot flavours, silky mid palate with a savory oak background. Impressive fruit length and fine lingering tannins. Further complexity will develop with careful cellaring out to five years. Due to the minimal handing in making this wine a small deposit is expected with time. We recommend decanting the wine prior to serving.